Khorosho Productions: The Female Frothing Loonies have escaped! 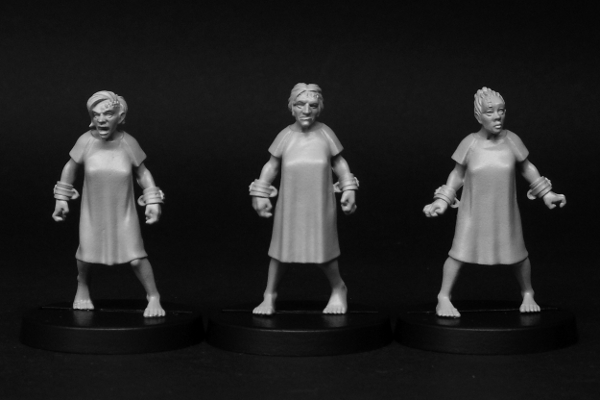 Statuesque Miniatures is pleased to announce the release of our new Statuesque Asylum set, the Female Frothing Loonies! 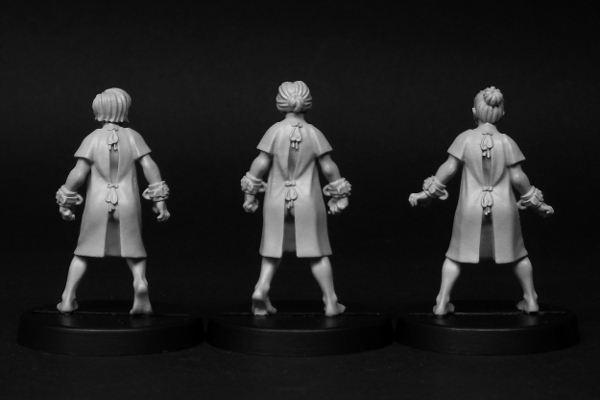 Comprising of three figures with a choice of six interchangeable, poseable heads, the Female Frothing Loonies are available at a new release special offer price of only £9, saving 10%. 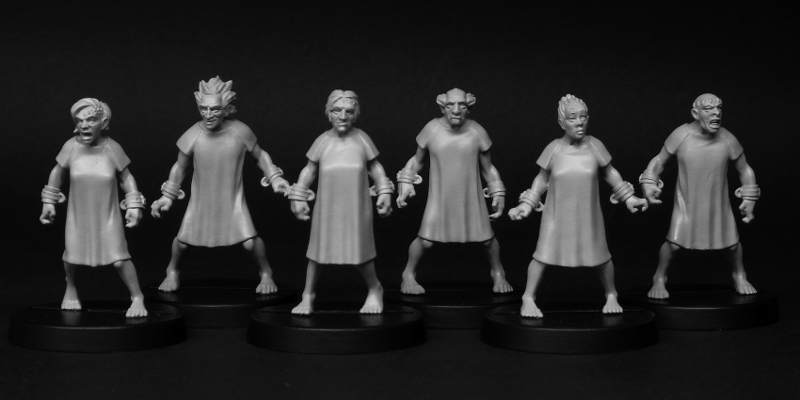 Additionally, you can now get the Female Loonies along with their male counterparts in the Frothing Loony Ward deal. 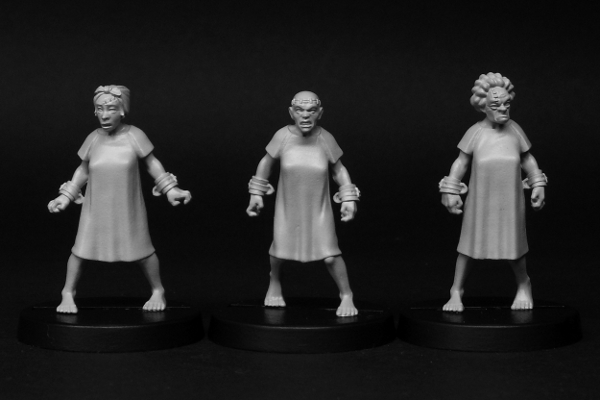 As a new release special offer, this six figure set is priced at £18, saving 10% over buying the items separately at full price. And don't forget, you can save up to £1.50 per set when you purchase multiple Frothing Loony sets. Both offers will run until 31st December 2014 or while stocks last. 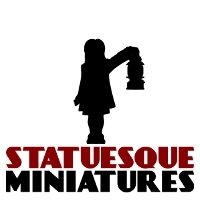 We are also now into the Christmas postal rush, so please be aware your order may take longer to arrive than usual. The Royal Mail Christmas posting dates can be found HERE.